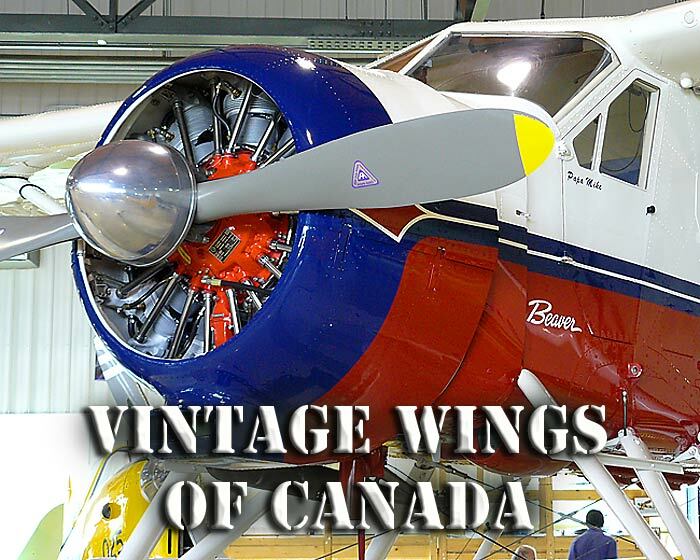 Vintage Wings of Canada is located in Gatineau, Ontario, Canada 20 minutes north of Ottawa at the Gatineau/Ottawa airport. 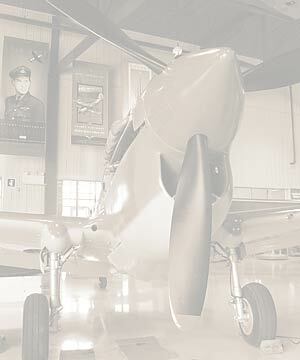 Vintage Wings Of Canada is a unique museum in that all of their aircraft are either flyable or in the process of being made airworthy. 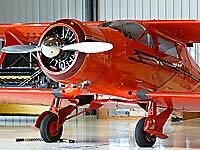 Restoring a vintage WWII era airplane to an external museum quality is no small undertaking. It can easily take thousands of man hours. But to bring an aircraft that is 60 or 70 years old or even older is a massive effort in both time and financial resources. The attention to detail this museum's staff and volunteers have lavished on their airplanes is just phenomenal. On top of that their hangar is virtually spotless. I had no reservations to lying on the floor photographing the torpedo bomber's position of the Fairey Swordfish as you could have pretty much eaten off it. The selection of aircraft Vintage Wings had on display was a real treat. 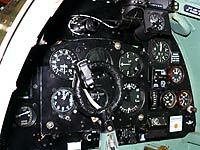 I think my favorites were a toss up between the DeHavilland Beaver amphibian and the Hawker Hurricane. The Beaver, well I'd just like to OWN one! The Hurricane because it really looked super in its North African campaign camouflage scheme, and because it is so underrated - most of the British air to air victories in The Battle Of Britain were scored in Hawker Hurricanes. 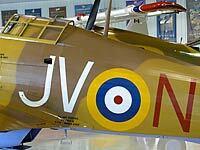 I was lucky to be there during the restoration of a second Hurricane. I knew the airplane's fuselage was partly fabric covered, but didn't realize the ribs and stringers were made of wood. It must have been very easy to repair battle damage in that area. 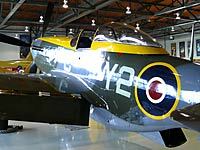 The Spitfire is just gorgeous, and it's so refreshing to see a P-51 Mustang in a paint scheme other than bare aluminum. The P-40 Kittyhawk also looks good in its North African campaign earth tones. The museum volunteers were in the process of swapping out cracked exhaust stacks for the Kittyhawk's Allison V-12 engine. The casting and welding of the stacks looks wonderfully complex, and so much more elegant than the raw round stacks of the Mustang's Packard Merlin. 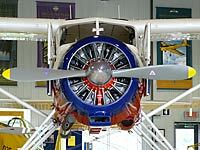 You'll want to have a close look at the fuselage numbers on the DeHavilland Fox Moth. Notice the "DD" ? In the UK that suffix was reserved for the British Royal Family. That plane was the personal transport of King Edward, Prince of Wales VIII during the year 1932. In 1936 he abdicated the throne to marry Wallis Simpson, a divorced American woman he loved dearly. It was said to be pretty scandalous at the time. The Beech Staggerwing looks slick, not only because it's a slick looking aircraft, but it's got a flawless cherry red paint job that you could shave in front of. 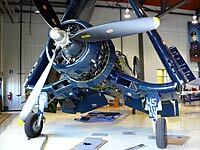 Their Goodyear Corsair fighter is outstanding, not just because of its glistening paint job, but that there was no oil on it from that big twin row Pratt & Whitney radial engine. The crew must go over it with a toothbrush after every flight! 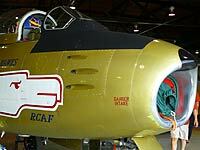 The North American F5 Sabre Jet is done up in the RCAF's Golden Hawks livery. It's mostly gold metallic with not a spec of orange peel that I could see. The Golden Hawks was the precursor to Canada's Snowbirds aerobatic team, similar to the US Blue Angels. Another aircraft in the process of restoration that I would have really liked to have seen completed was the Westland Lysander. 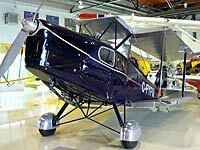 One of Vintage Wings of Canada's pilots was telling me what it was like to fly the Lysander. The airplane's leading edge slats pop open automatically at low speeds. The pilot said it makes flying it in the landing pattern somewhat counter intuitive. You slow down and drop the airspeed in order to lose airspeed and land, but there is an area in the flight envelope where the slower you go, the more it wants to fly. It looks like a great plane for a short strip. 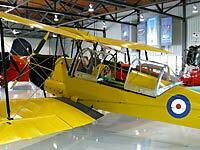 The Vintage Wings of Canada aviation museum is located less than a half hour north of Ottawa, Ontario, Canada at Gatineau airport. The museum's website recommends you call ahead to make an appointment. We went there on a Saturday in the summer on short notice and lucked out that there were staff and volunteers on hand. The volunteers were just great, and not only can they speak the history and details of the aircraft, but ask around and you'll find someone who can actually speak of what it is like to fly the aircraft. There are not many aviation museums that can say that. Everyone was friendly, knowledgeable, and enthusiastic about their aircraft. There is a diner on site at the airport, and they were open until 2pm when we were there in July 2009. The museum staff recommended them highly but we got there a little late. The building and hangar are all on the same level and the museum is relatively handicap accessible. If you're in the area, make a trip up there to visit them. 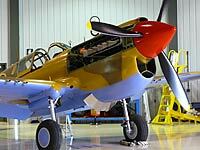 The quality of workmanship on Vintage Wing's restoration of these aircraft is outstanding and you won't be disappointed.